2016 was a year of changes for me. It was the first year I haven’t been living on the road since I started traveling full-time in 2007. I got an apartment in December 2015 which meant I had a place to go in between trips this year. It has radically changed how I travel and how I get work done. Oddly enough, I traveled more in 2016 than in did in 2015 even though I wasn’t on the road full-time. This year I also made the big switch from Nikon to Sony. I had some minor issues with the change, but overall I was quite pleased with the quality of the results this year. All of the images I took in 2016 were taken with my Sony a7rii or a6000. 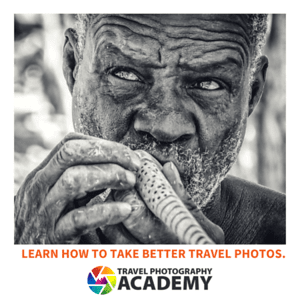 In 2016 I was also named Travel Photographer of the Year by the North American Travel Journalists Association for the second time, and I was a Bronze Medalist in the Travel Photographer of the Year competition for the Society of American Travel Writers. You can also check out my year-end photo essays for 2012, 2013, 2014, 2015, 2017, and 2018. I hope you enjoy my images as much as I did taking them! 1 My first big trip of 2016 was in February when I made my first visit to India. Despite all the places I’ve been, I hadn’t been to several of the largest countries on Earth, nor had I been anywhere in South Asia. My first stop was on one of the first National Geographic Tours with G Adventures in the Indian state of Kerala. 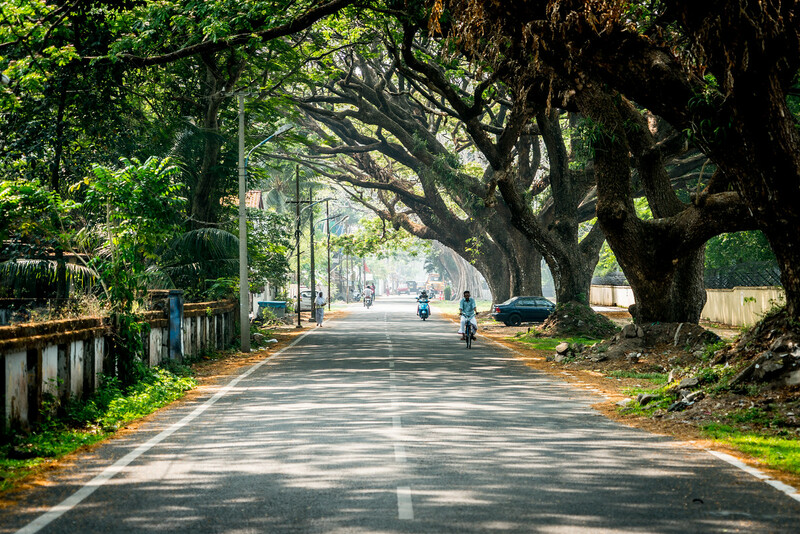 We began the tour in the historic city of Kochi, which is home to the oldest Christian church, Islamic mosque, and Jewish synagog in India. Its natural harbor made it the location where Arabs and Europeans came to India. 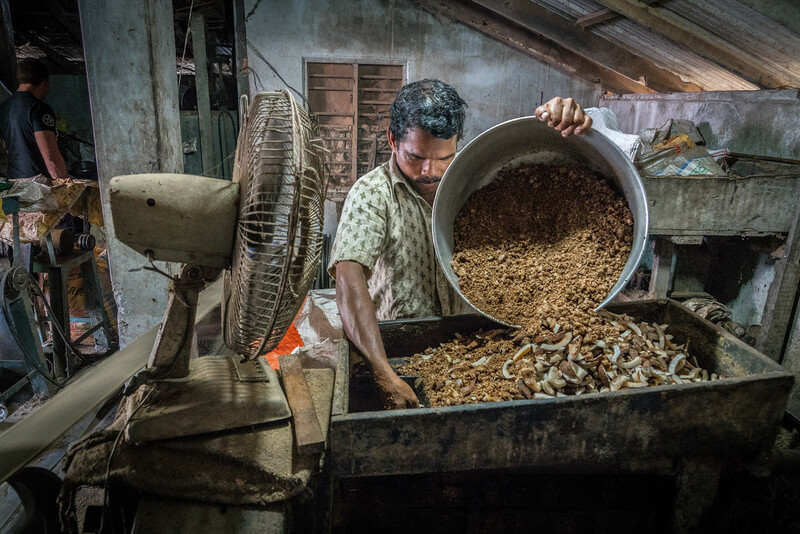 2 One of the things I enjoyed most about my Kerala tour was being able to capture people at work. It seemed to have been my theme for the trip. 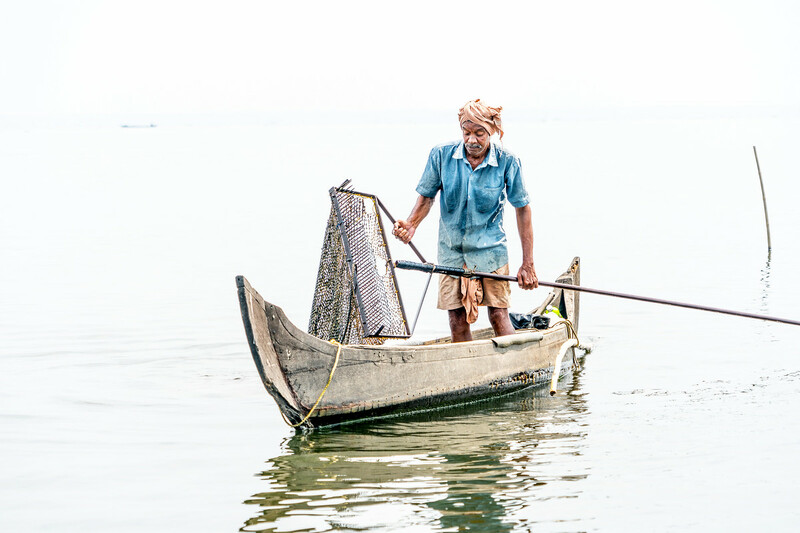 This man was harvesting small clams in one of the backwater lakes in Kerala. He would use this large rake with a net attached to stir up the bottom to scoop up the clams. 3 After the clams were caught, they were brought to the shore for processing. These men would cook the clams so their shells would open, then they sifted the clams so the meat would fall out of the shells. It was a rather ingenious way to get food out of something which was otherwise too small to efficiently eat. 4 The rough fiber which is often found in doormats is called coir, which comes from the outer husk of a coconut. 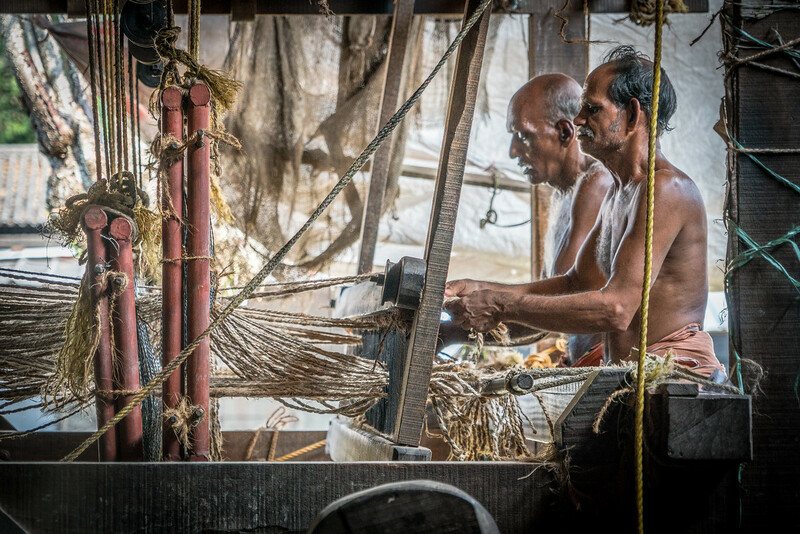 We visited a small co-operative which processed coir and manufactured items such as doormats and rope. The entire process, as far as I could tell, was done without the use of electricity. 5 Coconut oil is an important staple commodity in India. This man worked at a small processing facility which made coconut oil. He would dump the coconut meat into this machine which would press the oil out. 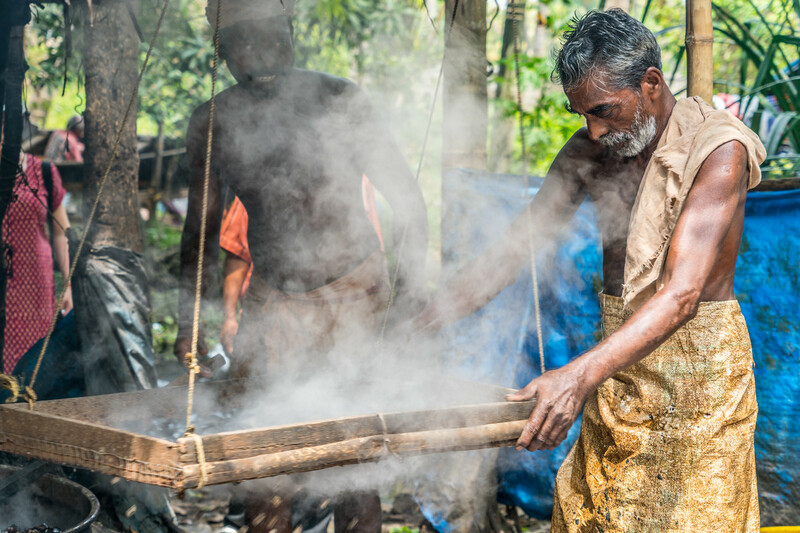 The remaining coconut meat, once all the oil was extracted, would be used as animal feed. 6 Not all the jobs I observed dealt with manufacturing. Kochi had a rather large center just for the washing of clothes, all of which was done by hand. 7 One of the most popular things to do in Kerala is to cruise along the backwaters in a boat. 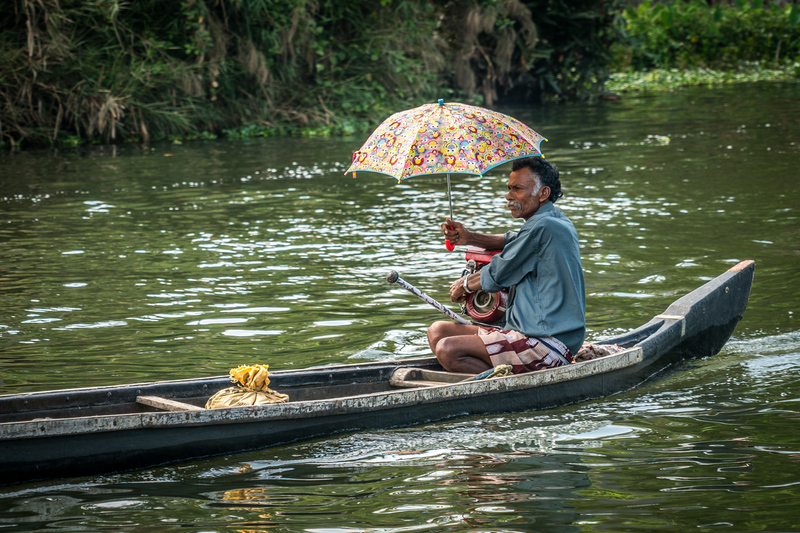 Water transportation is central to the people in the backwaters. This man caught my eye as his serious face was juxtaposed with the child’s umbrella he was holding. 8 After Kerala, I went north to Delhi where I explored the city and the several UNESCO World Heritage Sites in the area. 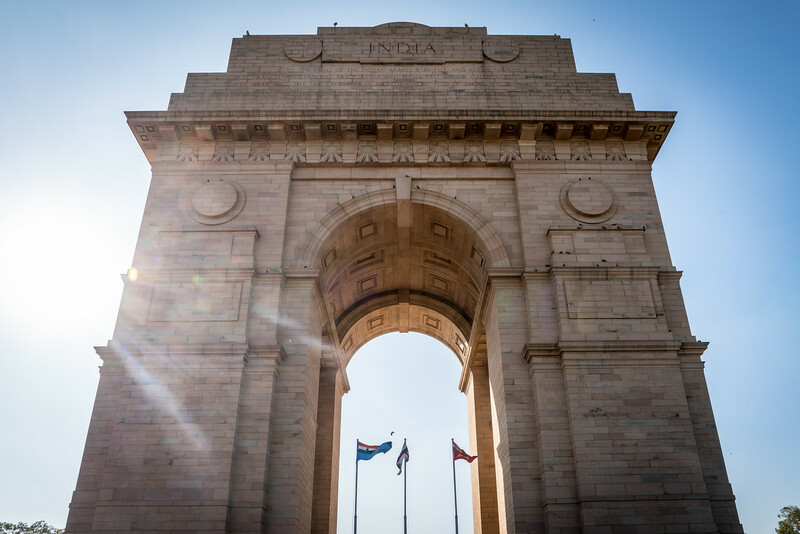 This photo is of the India Gate in the heart of New Delhi. 9 The streets of Delhi are unlike anything I’ve ever experience before. 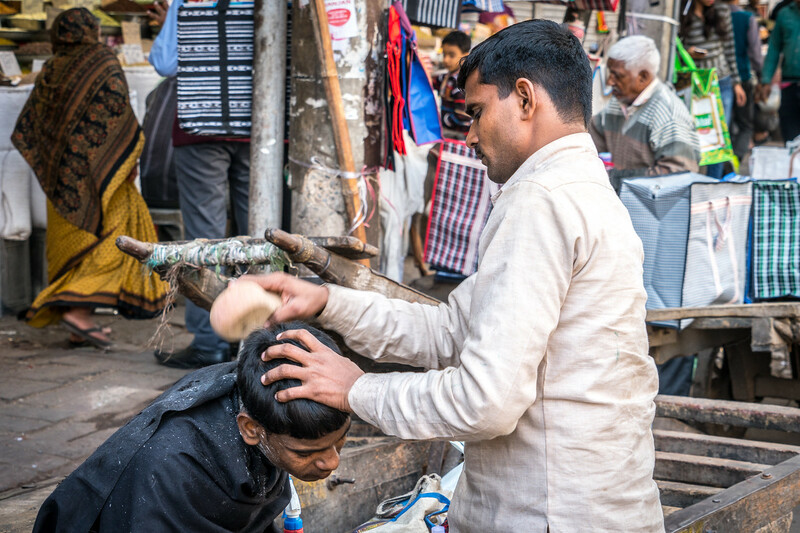 It is busy, crowded, and all manner of activity can be found on the street, including street-side haircuts. 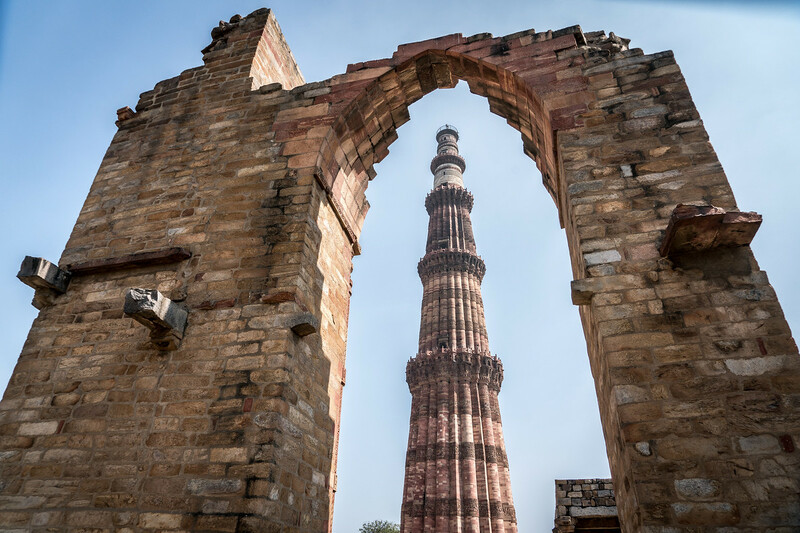 10 The most impressive of the world heritage sites in Delhi had to be Qutb Minar. 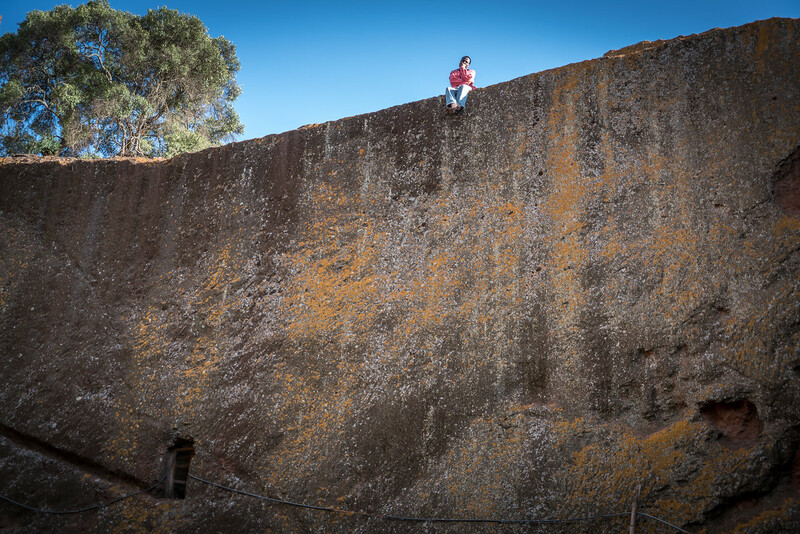 It is 800 years old and 238 feet high, it is a marvel of ancient engineering. 11 From Delhi, I then went to Agra where I, like all travelers to India, had to pay homage at the Taj Mahal. 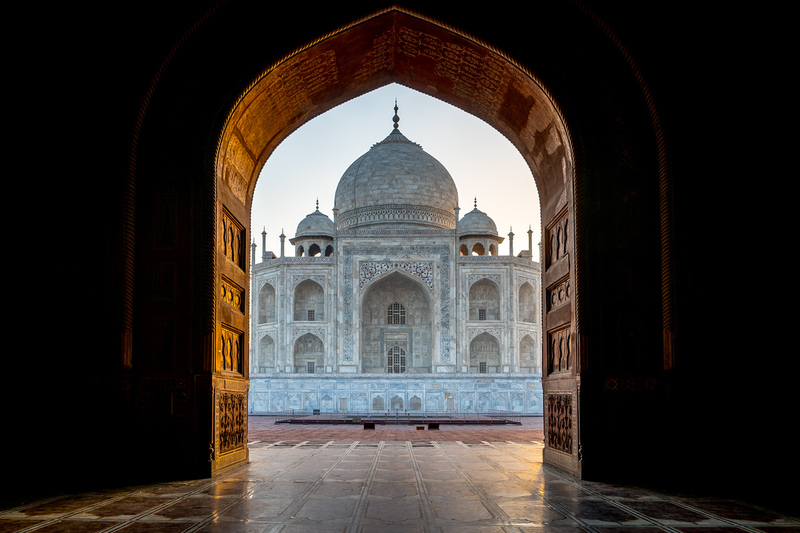 Of all the wonders of the world I’ve seen, the Taj Mahal might just be the one which is most worthy of the title. 12 In March I made my first trip to Ethiopia, a country that I will certainly be visiting again in the future. In addition to being one of the most culturally rich countries on Earth, I also found the country to be great to travel in by African standards. 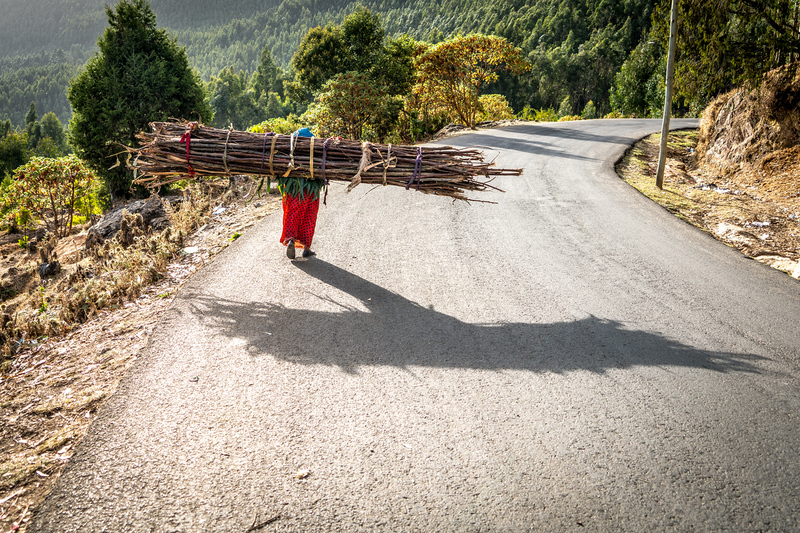 I took this photo of a woman carrying a bundle of wood in the hills outside of Addis Ababa. 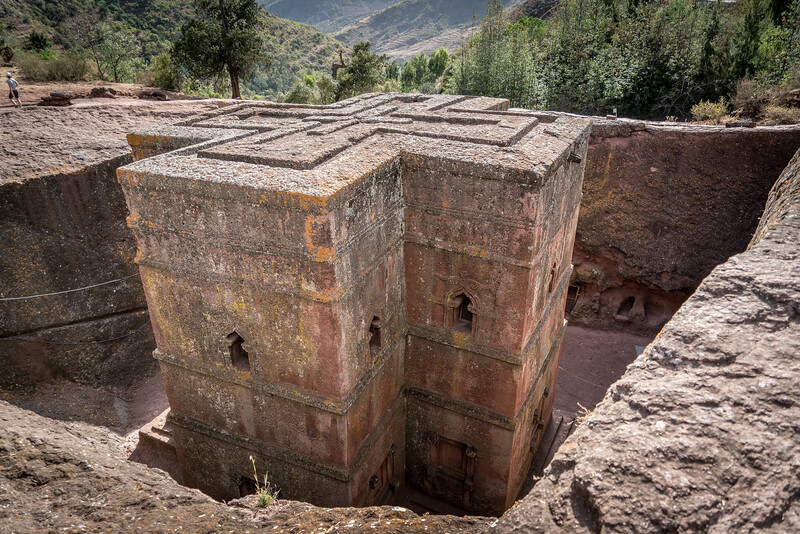 13 After Addis Ababa, our first stop was in the town of Lalibela, which is famous for its rock-hewn churches. The Church of Saint George, shown here, in a complete, freestanding structure carved out of solid rocks. 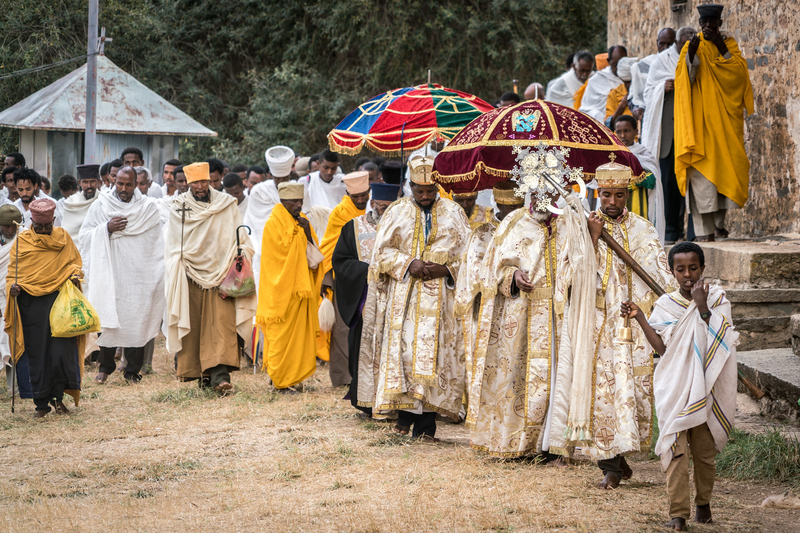 14 The traditions of the Ethiopian Coptic Church extend back almost to the beginning of Christianity. The monks and priests still dress the same and use the same liturgical language that they did over 1,000 years ago. However, some things are modern. This priest was leaving the church to answer his mobile phone. 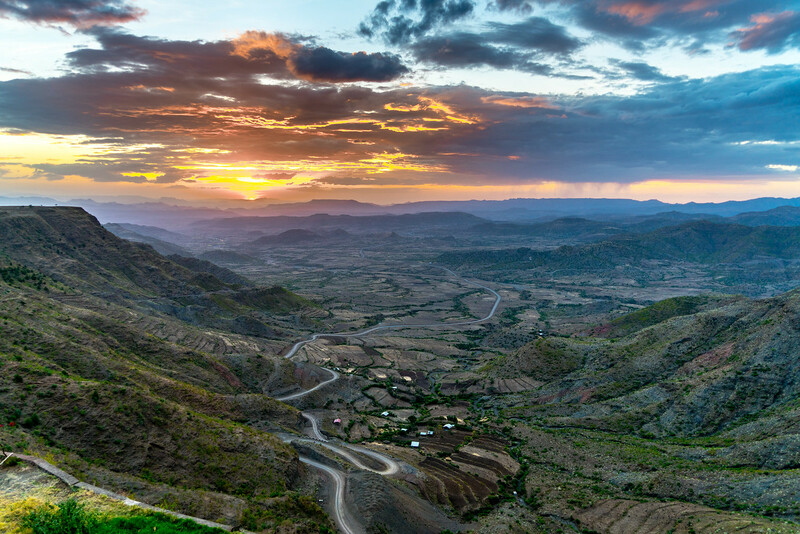 15 Every day in Lalibela, we were witness to incredible sunsets. The location of the town, high on a plateau, gives it a great view of the surrounding area. 17 We visited the Erta Ale volcano in the Afar Region in the northeastern part of the country. 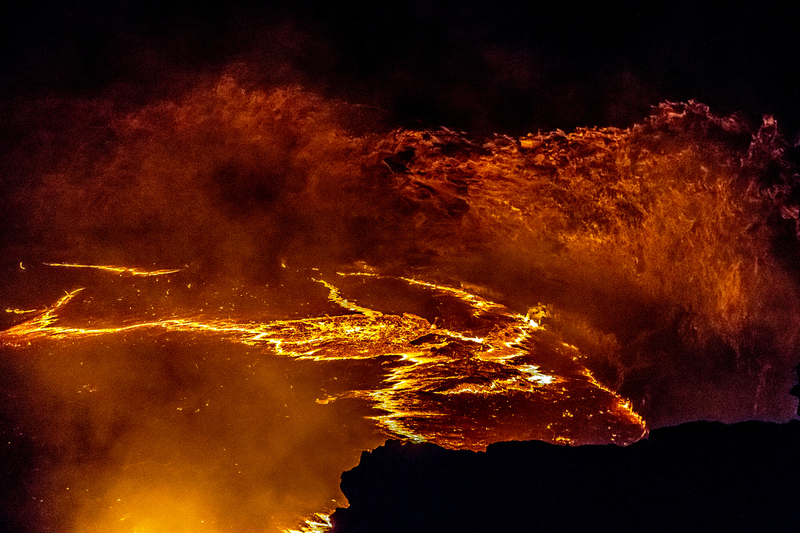 It is one of only a handful of places on Earth where you can see a permanent pool of liquid magma. Getting there was quite the journey as it was a 9-mile hike each way and it had to be done at night due to the high temperatures. 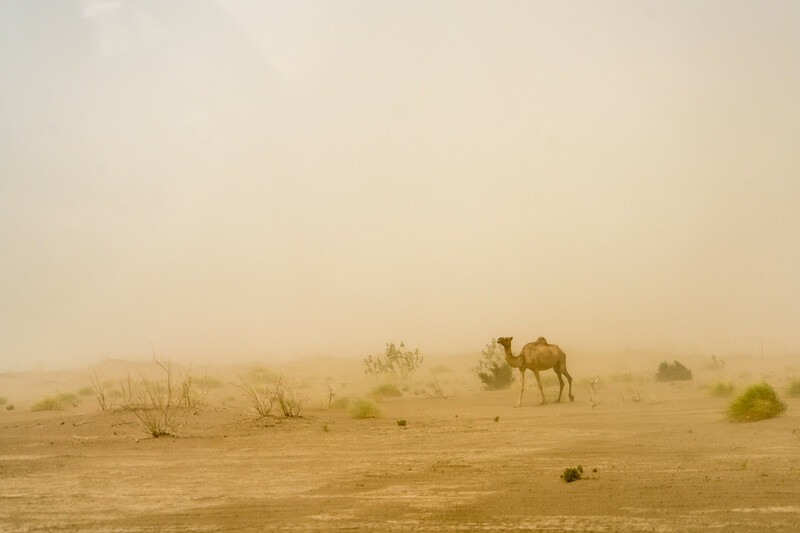 18 The Danakil Depression is one of the lowest and hottest places on Earth. It is noted for being the hottest place in the world with a permanent human population. I was astonished to see that people could actually live in this environment. 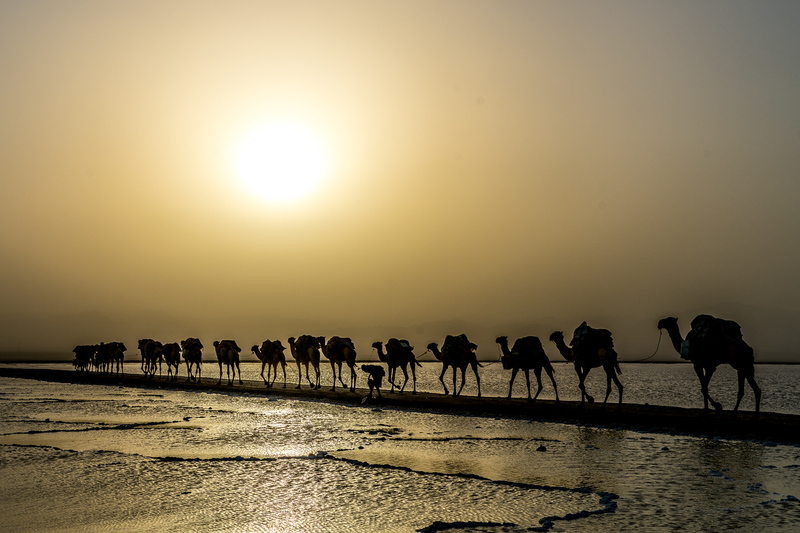 19 One of the only jobs available in the Danakil Depression is mining salt from the surface of an enormous salt flat. 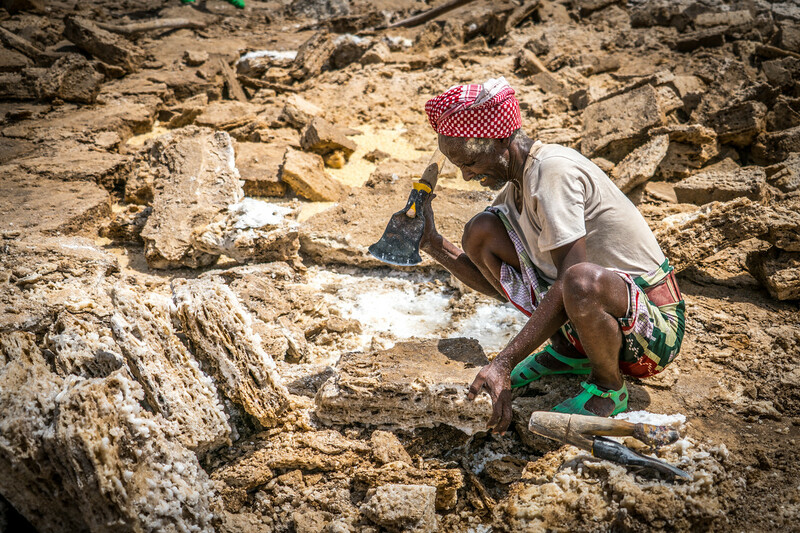 The workers sit out in the sun chipping away at the salt to prepare it for transportation to the processing facility. Temperatures reached 50C/122F during the day while we were there. 20 The salt is loaded onto camels and donkeys for the 2-day trek to the processing facility. 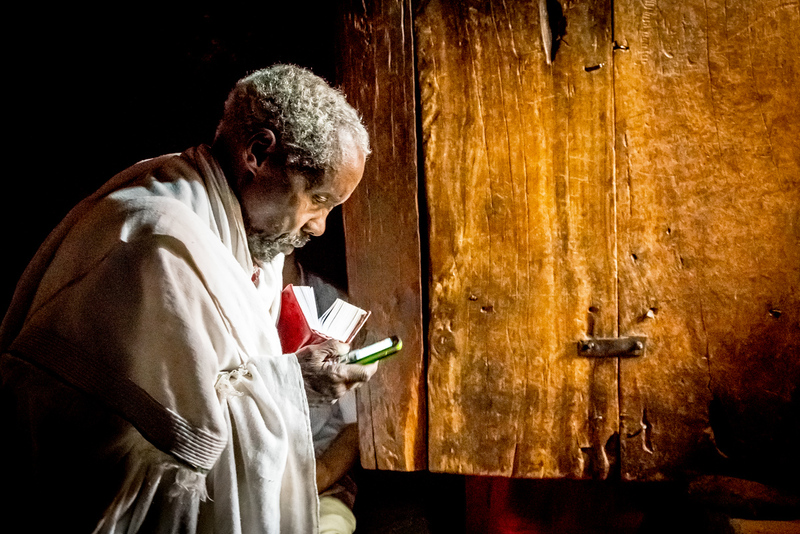 21 Axum is the center of the Ethiopian Coptic faith. They believe that the Ark of the Covenant is located here, having been transported to Ethiopia during the times of the Old Testament. Every Ethiopian church has a replica of the Ark of the Covenant as the focal point of the church. In this photo, worshipers are in a Lenten procession around the Church of Our Lady Mary of Zion. 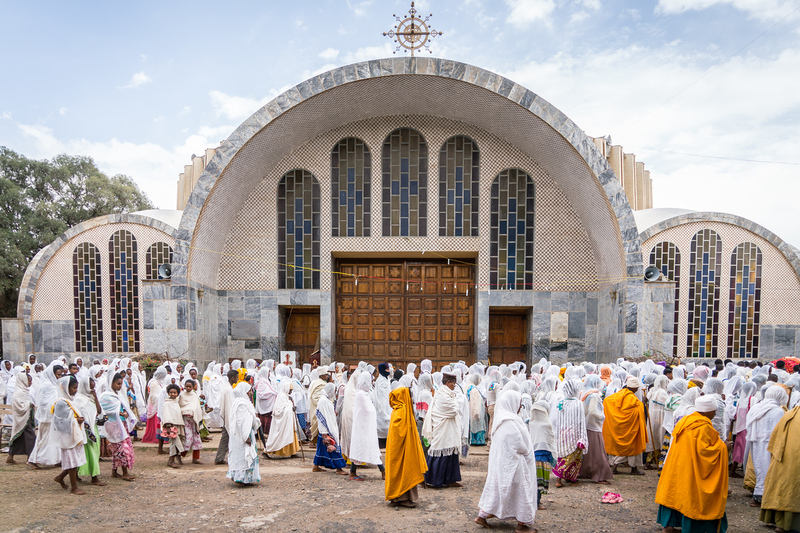 22Axum actually has 2 churches; one for men and one for women. The newer church (shown in photo #19) was built for women in the 1950’s. The older church is only for men. 23 In April I took a long-awaited road trip through the Balkans. The trip started and ended in Macedonia. 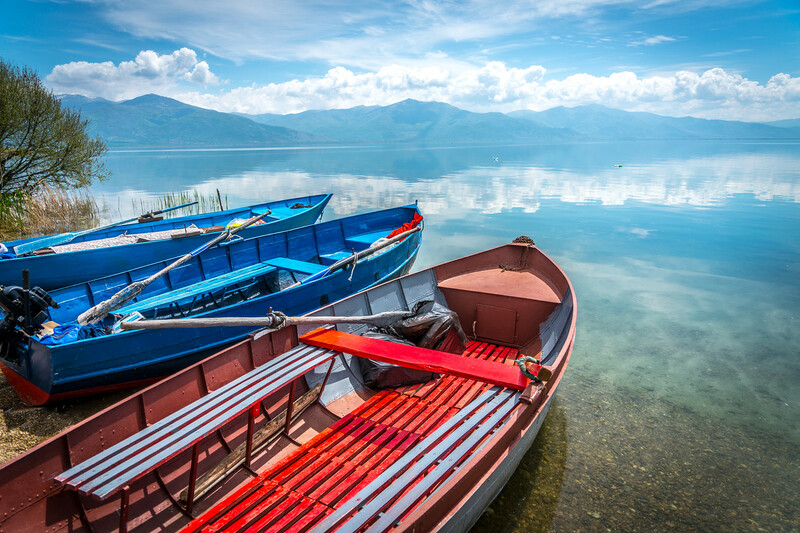 I saw these boats in Lake Prespa, which is shared by three countries: Greece, Macedonia, and Albania. 24 In Kosovo, I visited the Pec Monastery in the city of Pec. 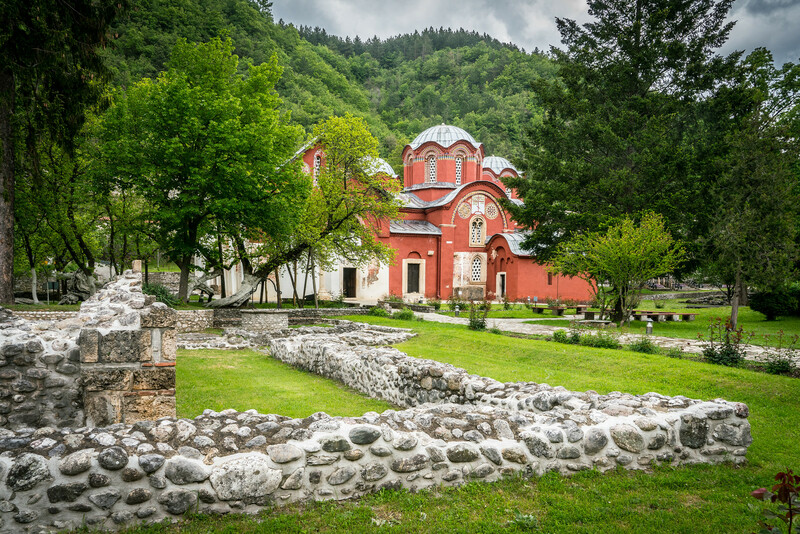 It is a Serbian Orthodox Monastery and part of the Medieval Monuments in Kosovo UNESCO World Heritage Site. 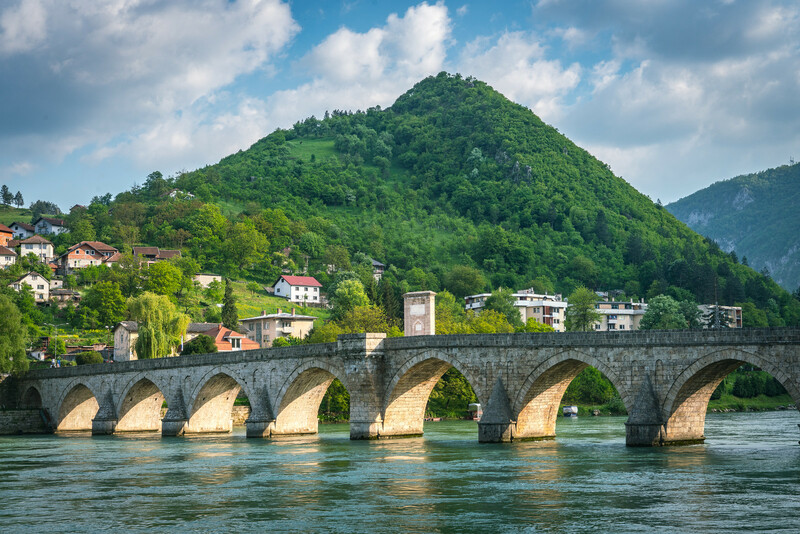 25 During my drive through Bosnia and Herzegovina, I stopped in the city of Visegrad to see the Mehmed Paša Sokolovic Bridge, which is also a world heritage site. 26 Northern Montenegro along the Piva River was one of the most incredible drives I’ve ever taken. 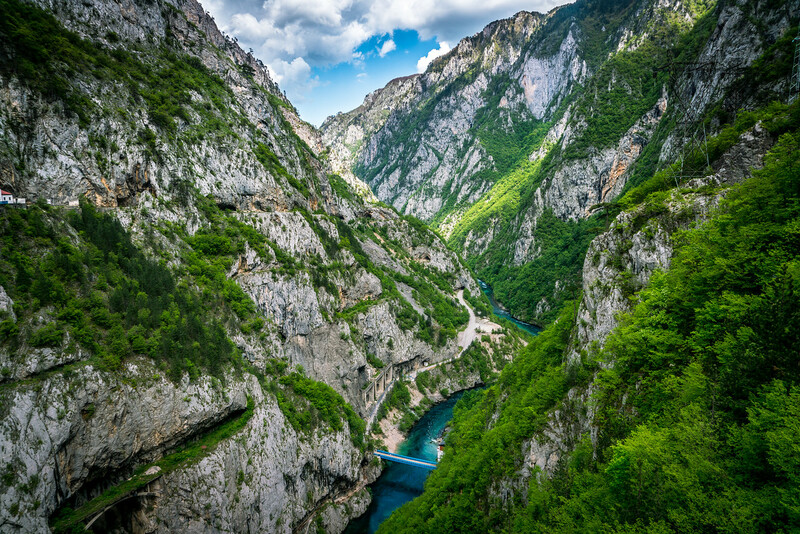 The Piva River Canyon is one of the most picturesque areas in all of Europe. 27 In June I spent time in Colorado visiting several of the national parks I hadn’t visited yet. 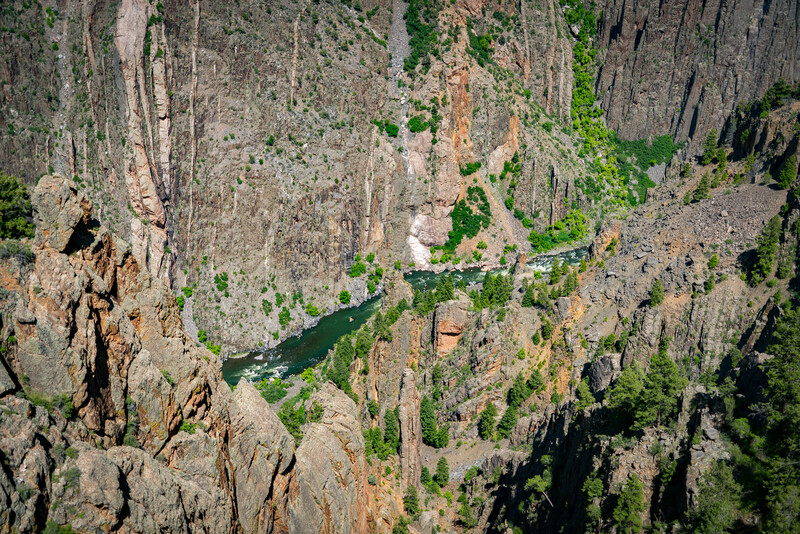 The first park was Black Canyon of the Gunnison National Park. While not as big as the Grand Canyon, the canyon is far more steep and dramatic. 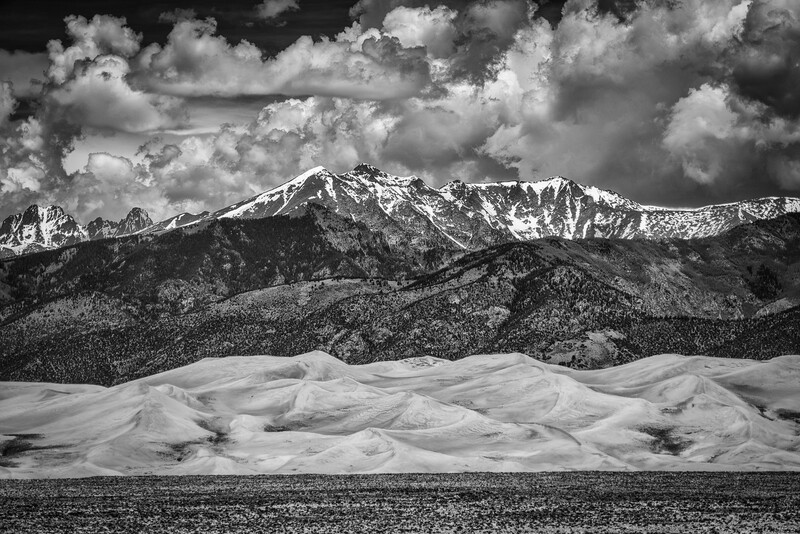 28 Great Sand Dune National Park is a massive sand dune located up against the Rocky Mountains. In the summer, the temperature on the sand can reach a scalding 120F. 29 I spent a few days in Mammoth Springs, California for a conference and as part of the trip, I made a return trip to Mono Lake. 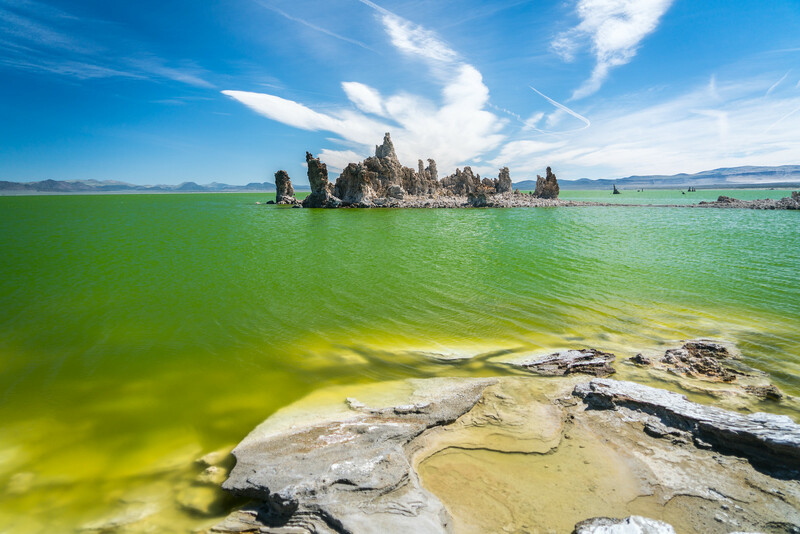 Over the years the lake has been drained to provide drinking water for Los Angeles, which exposed calcium tufas. 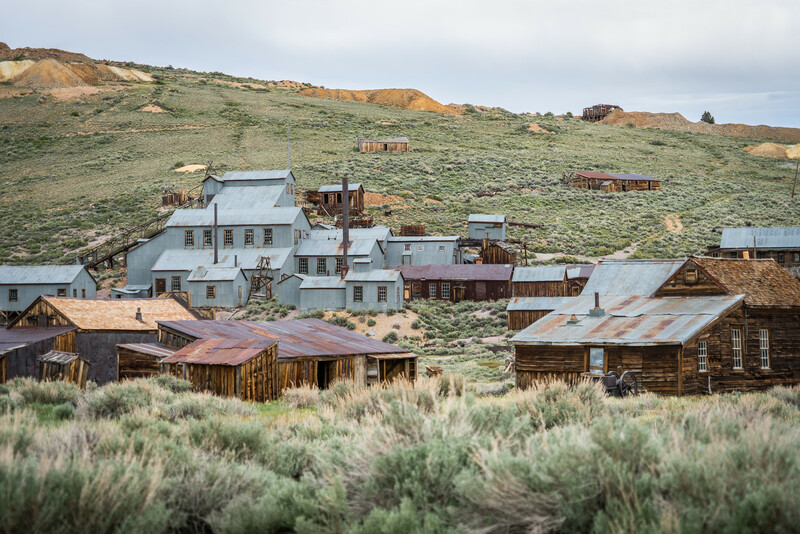 30 While in Mammoth Springs I made a special trip to photograph the ghost town of Bodie. Bodie was a mining community which was abandoned in the early 20th century and at one time was one of the largest towns in California. 31 I went to Alaska in pursuit of my goal of photographing every national park in the United States. 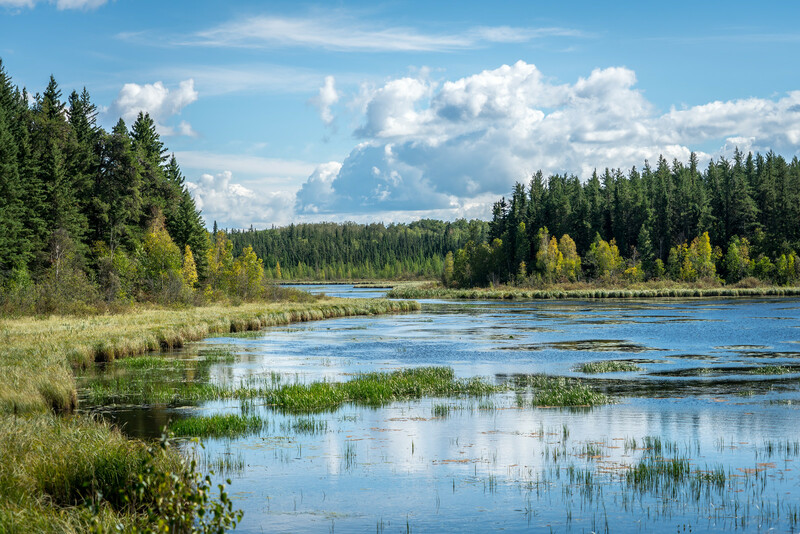 The first park I visited was Gates of the Arctic National Park, which is the second least visited national park and the northernmost national park in the US. 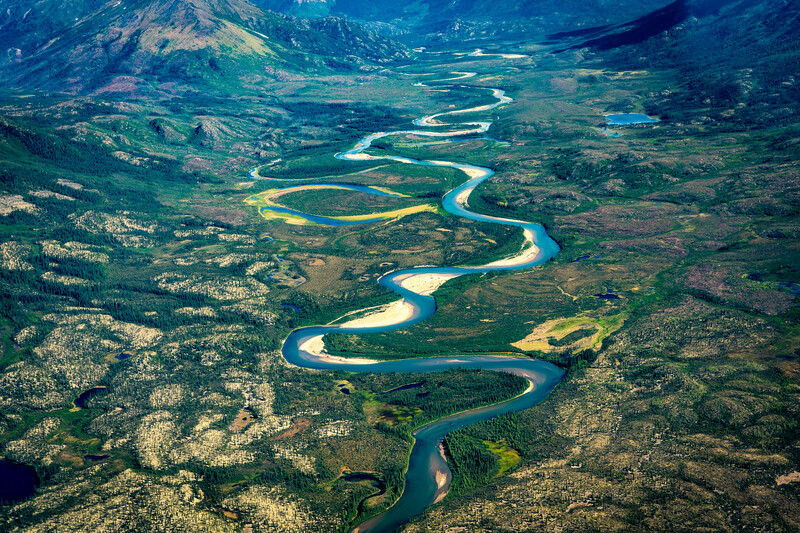 32 Kobuk Valley National Park is the least visited national park in the US. The estimates I got were that the total number of actual visitors each year to the park was around 200. 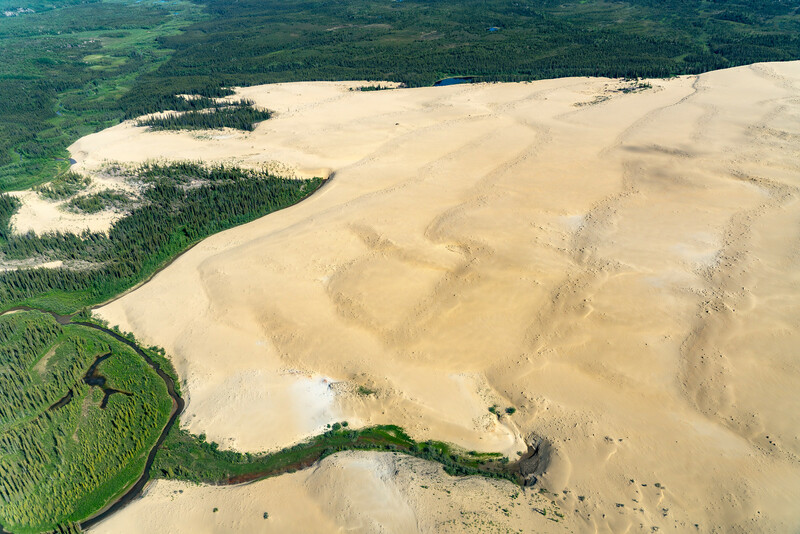 It is home to the Great Koubk Sand Dunes, which are the northernmost sand dunes in the world. 33 Denali National Park is incredible. 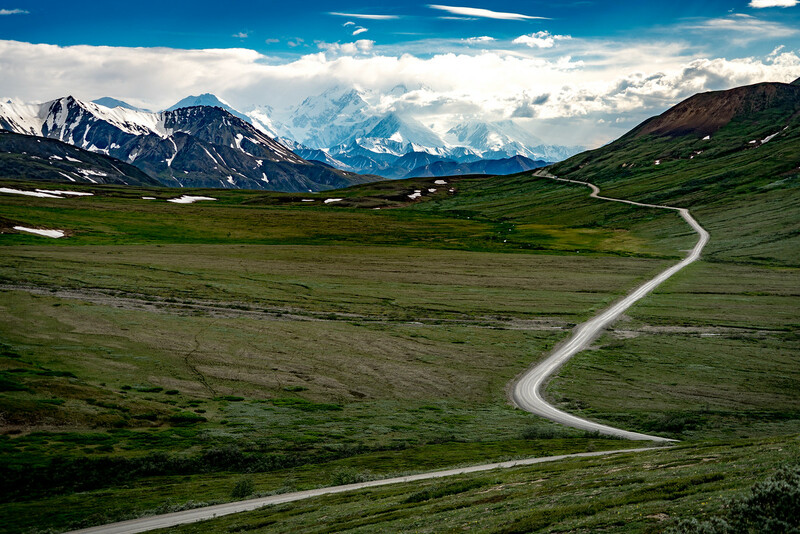 Mount Denali is actually the largest mountain in the world when measured from base to peak, so when you are near it, it is the most massive thing you can experience on Earth. That is assuming you can actually see it, as 70% of park visitors never see the mountain due to clouds. 34 Lake Clark is a vastly under-appreciated national park. In the span of just a few hours, I saw more grizzly bears there than in did in the rest of the year, in every other park, combined. 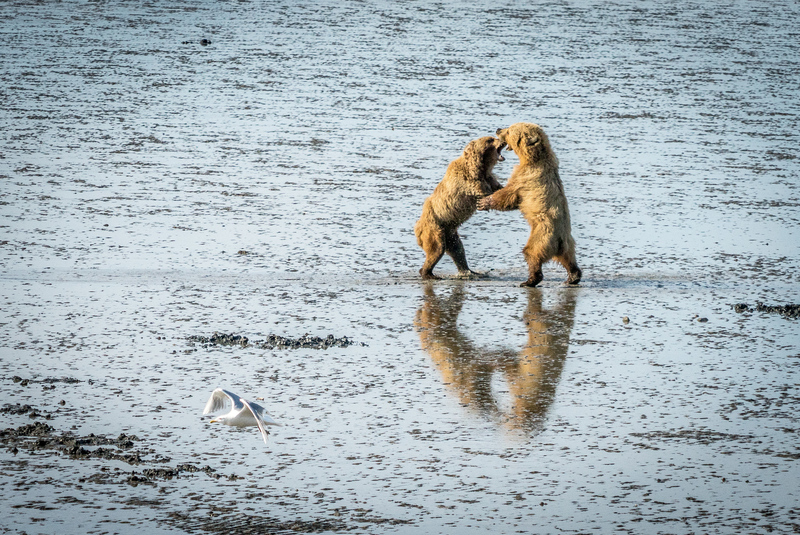 These grizzlies were fighting while digging for clams at low tide. 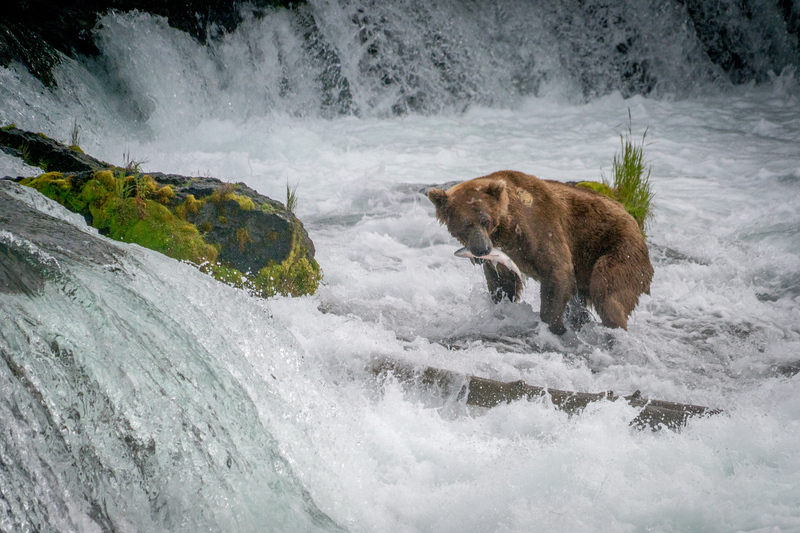 35 If you’ve seen a photo of a bear catching salmon at a waterfall, it was probably taken at Katmai National Park. Brooks Falls in Katmai has become famous as one of the best places to see and photograph bears in the wild. 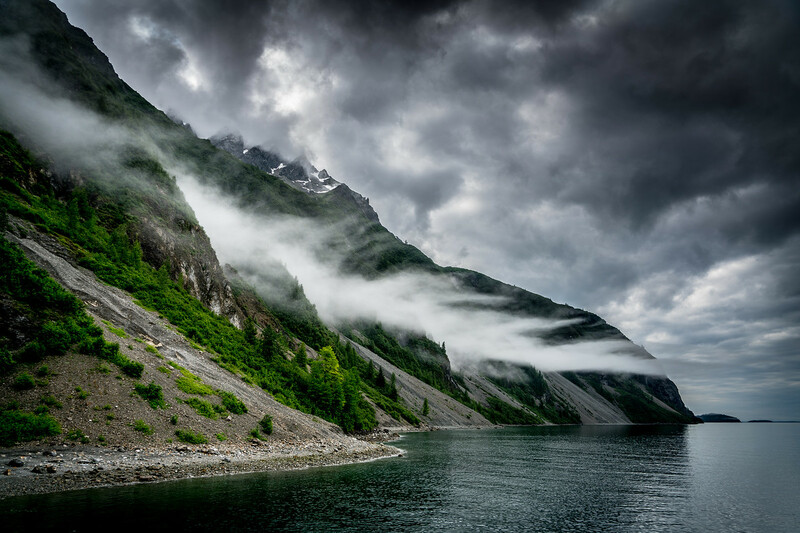 36 Glacier Bay is a popular national park for visitors to Alaska who are traveling on a cruise ship. However, the best way to experience it is, in my opinion, on a smaller ship, which allows you to get closer to the shore and the glaciers. 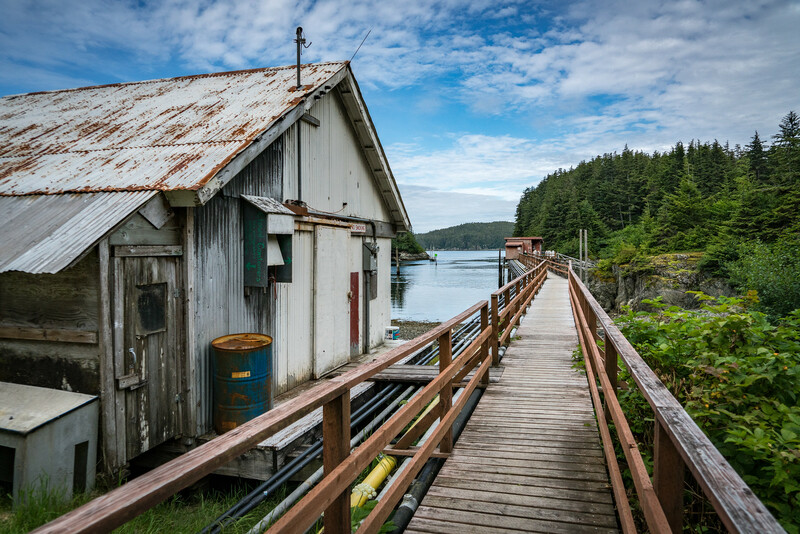 37 In addition to the national parks, I also got to visit the small fishing village of Elfin Cove. All of the buildings in the community are connected by a boardwalk. The population in the summer is around 200 and in the winter it drops to approximately 2. 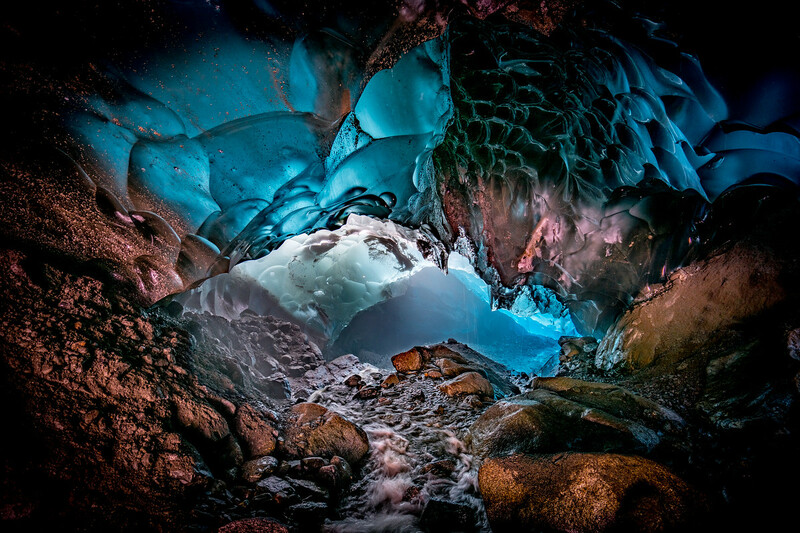 38 One of my favorite photos of 2016 was taken inside an ice cave in the Mendenhall Glacier in Juneau, Alaska. It was an 8-mile hike round trip to get there, lugging cave gear and my camera equipment, but it was worth it. 39 2016 also marked my first trip to Central Asia. We started in the city of Almaty, Kazakhstan. 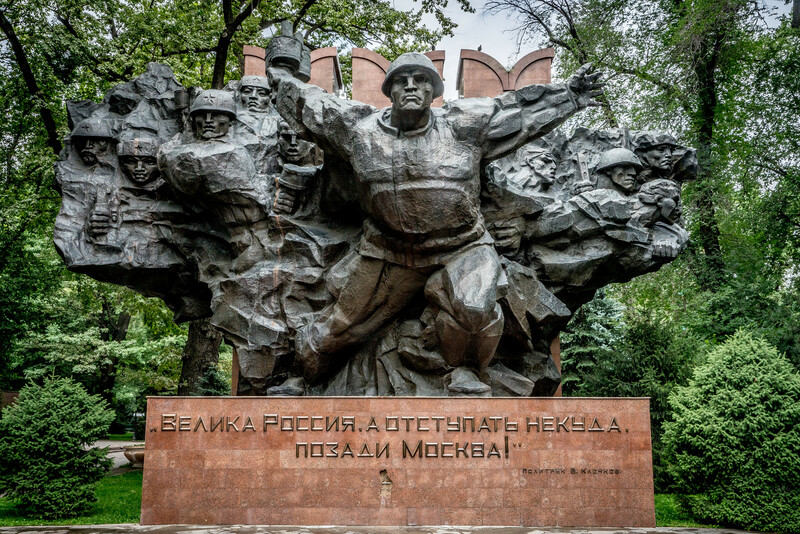 Of all the Central Asian republics we visited on our tour, Kazakhstan had the most remaining relics from the old Soviet Union. 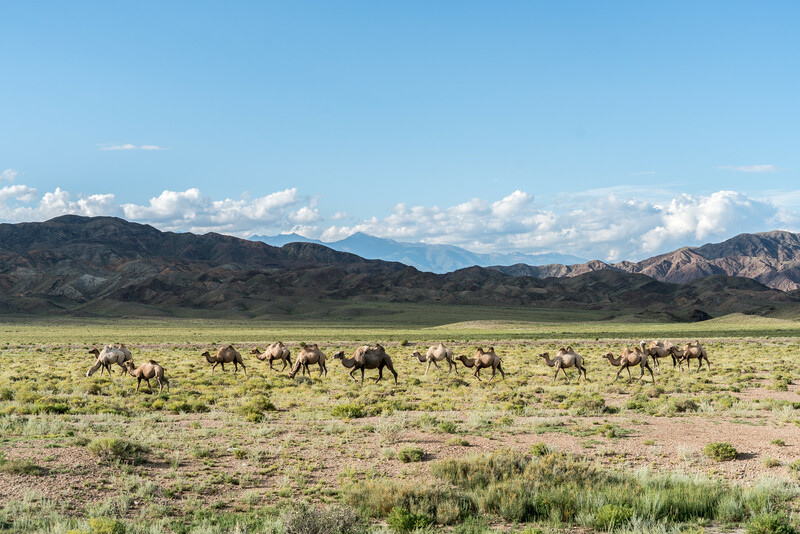 40 Outside of the city of Kochkor, Kyrgyzstan we encountered a herd of Bactrian camels. These are the two-hump variety which is different than the ones I saw in Ethiopia (see above). 41 The highlight of my time in Kyrgyzstan was staying in a yurt on the shore of Song Kul, one of the highest lakes in the world. 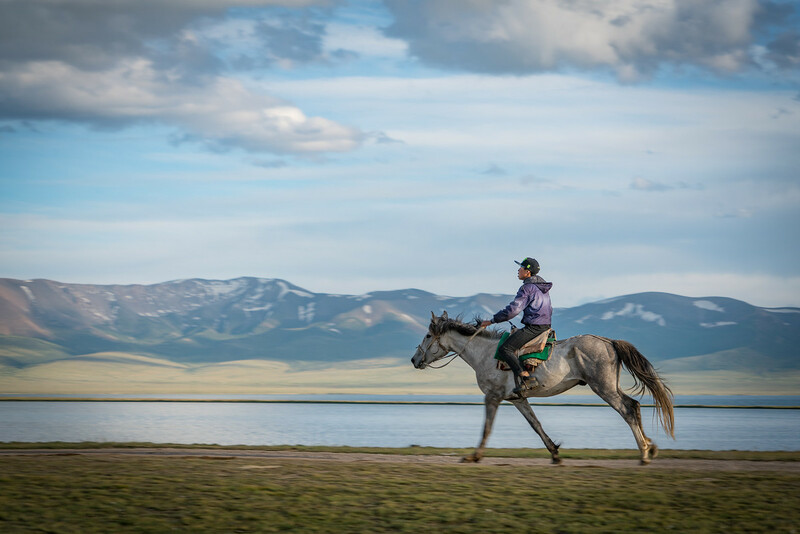 Here Kyrgyz nomads still practice traditional herding, raising cattle, horses, and yaks. 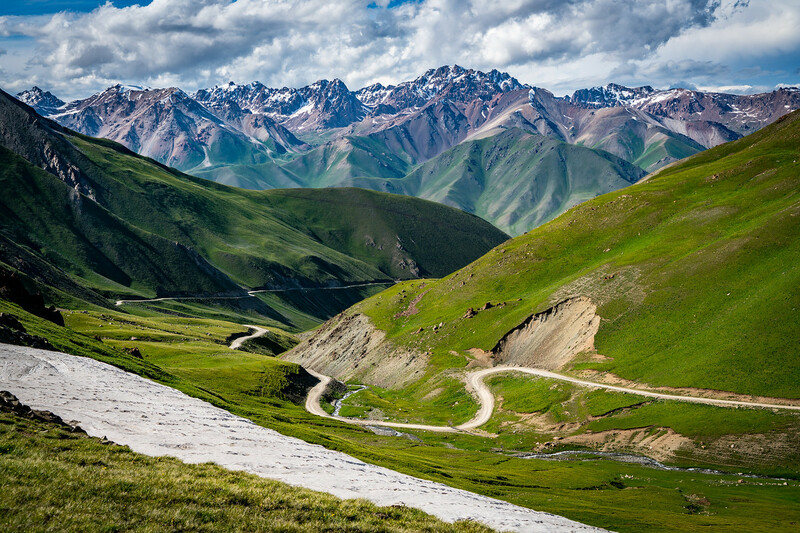 42 The Tian Shan mountains where Song Kul is located are incredibly dramatic. It is quite the experience to see mountain tops at eye level. 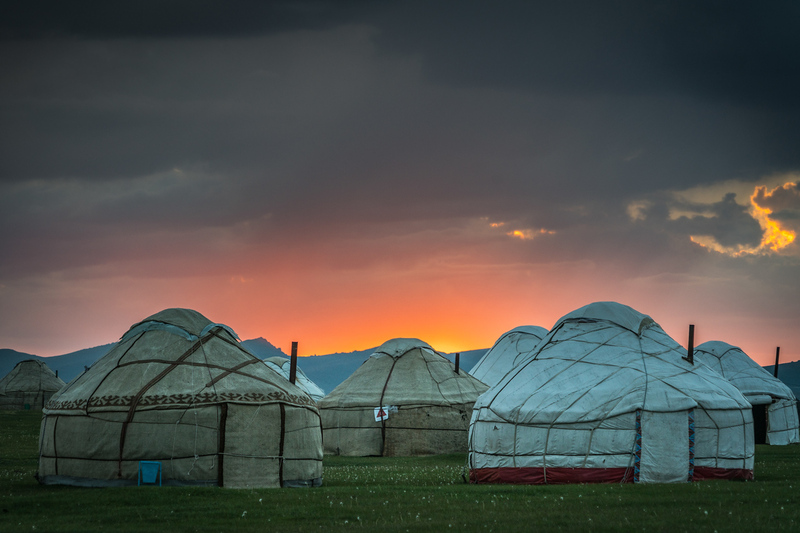 43 The horseback culture of Kyrgyzstan was very evident in Song Kul. You will see men riding all the time. We even were able to watch a pickup game of kok-boru, which is like polo with a sheep carcass. 44 The highlight of Tajikistan was Lake Iskanderskul, named after Alexander the Great. 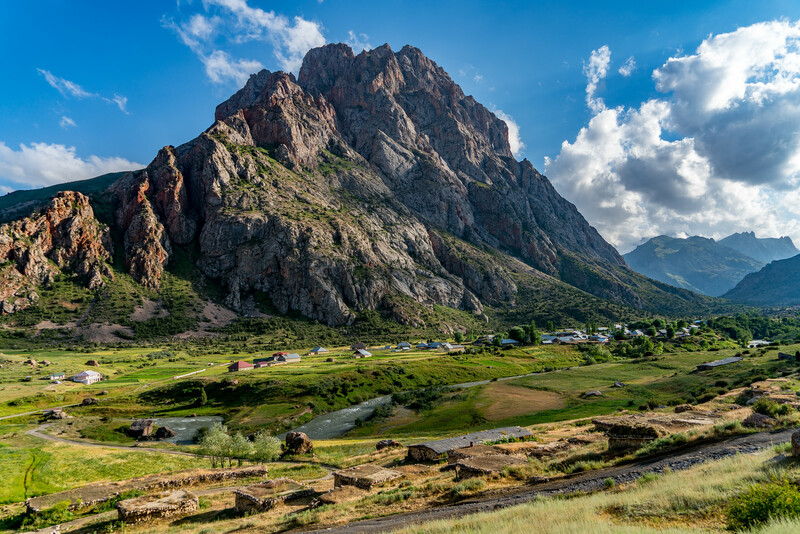 Tajikistan is very mountainous with very little tourism, but immensely enjoyed my time there. 45 The only traveling I did in August was a short visit to Prince Albert National Park in Saskatchewan. With my visit to Saskatchewan, I had officially been to every Canadian province twice. With my next visit there, I will have been to every province three-times. 46 In September I was back in Alaska for the Adventure Travel World Summit. I also used the opportunity to visit the two remaining national parks in Alaska I hadn’t visited yet. 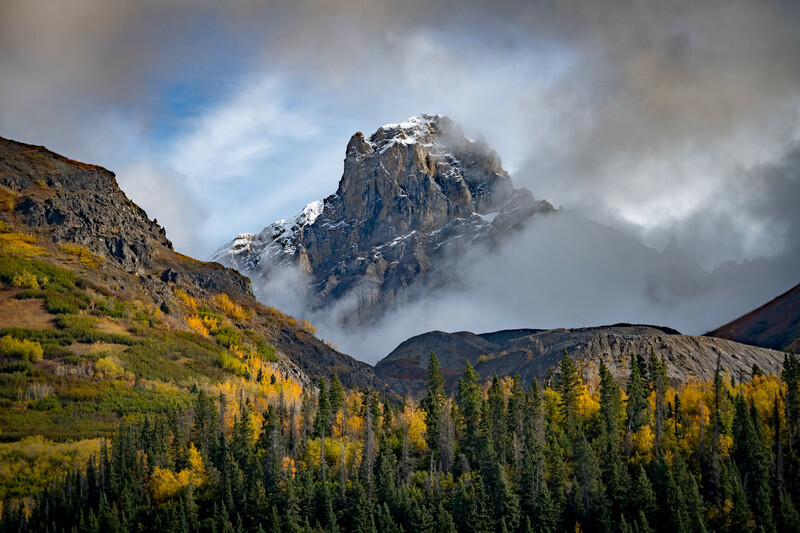 The first of the two parks I visited was Wrangell-St. Elias National Park, which is the largest national park in the United States by area. 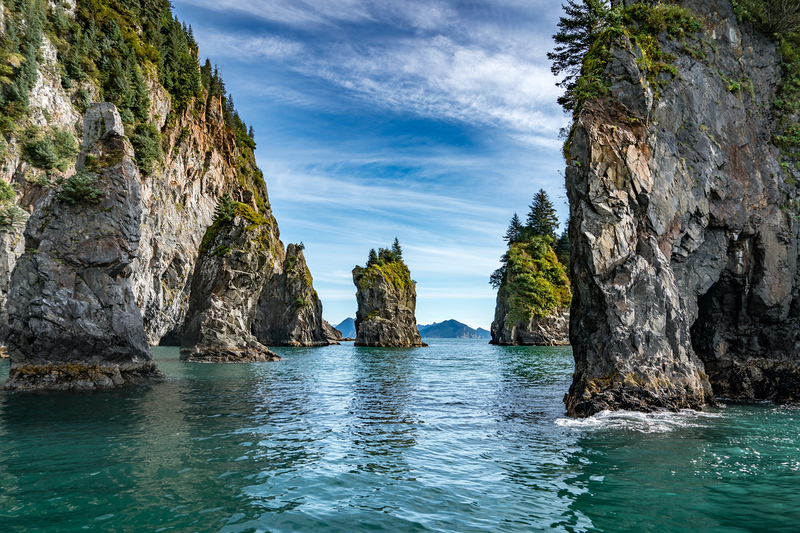 47 My 8th and final national park in Alaska I visited was perhaps the easiest to reach: Kenai Fjords National Park outside of Seward. 48 After Alaska I was home for 2 days before heading east to Newfoundland where I visited Terra Nova National Park and Canada’s newest UNESCO World Heritage Site: Mistaken Point. 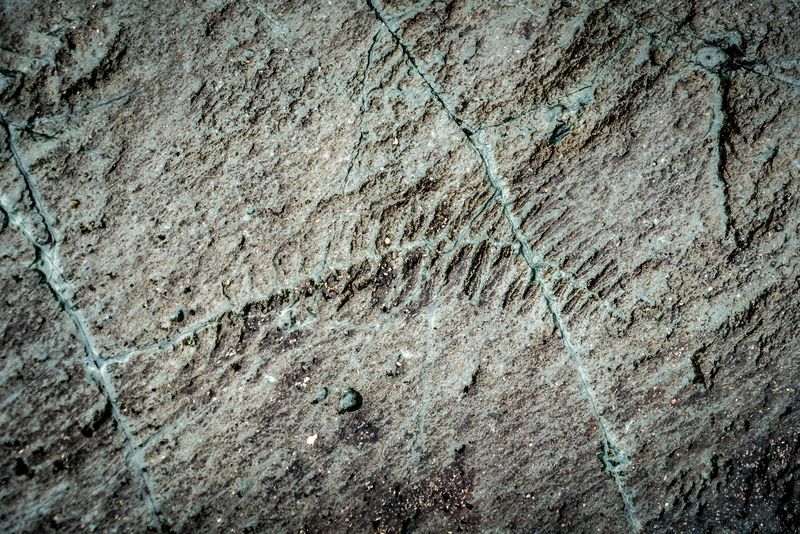 Mistaken Point is home to the oldest multicellular fossils on Earth and they date back to before the Cambrian Explosion. 49 From Newfoundland, I headed south to Nova Scotia where I visited Cape Bretton Highlands National Park and Kejimkukik National Park, shown here. 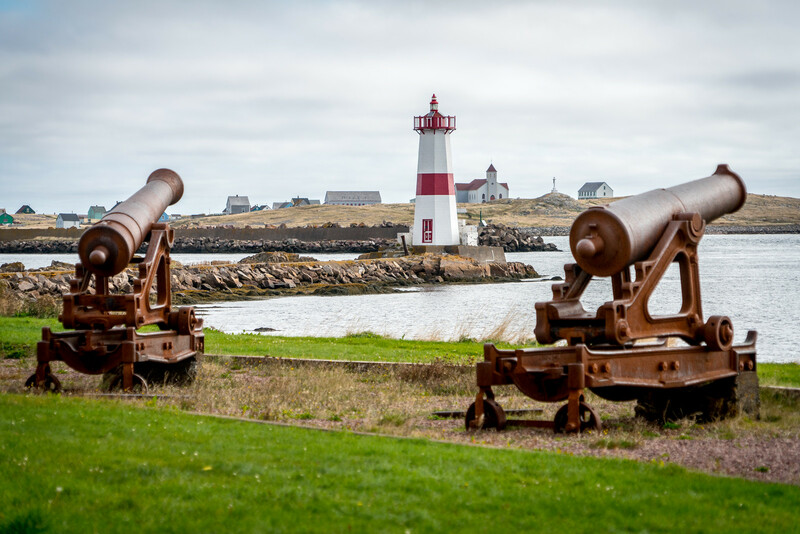 50 While I was in the area, I took the time to visit a place which had long been on my to-do list; the French territory of St. Pierre and Miquelon. Located right off the coast of Newfoundland, it is the last French possession in North America. 51 After returning home from the maritime provinces, in less than 48 hours I was gone again, this time to Manila to speak at a conference. On my way back from the Philippines, I took a route that took me through the South Pacific. High on my list was visiting the country of Tuvalu, which is the only country in the Pacific I hadn’t visited. I was supposed to have visited back in 2007, but complications made me put off the trip until this year. 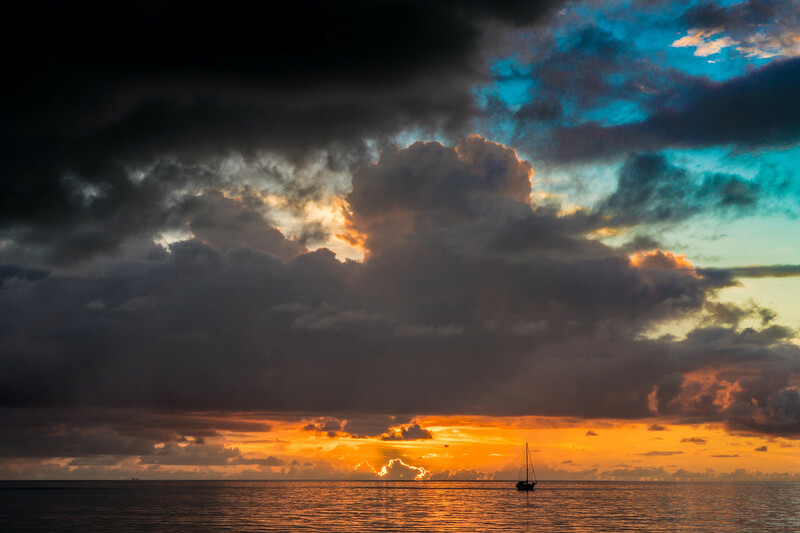 I spent 4 night in Funafuti, the main island and capital of Tuvalu and was able to photograph some amazing sunsets. 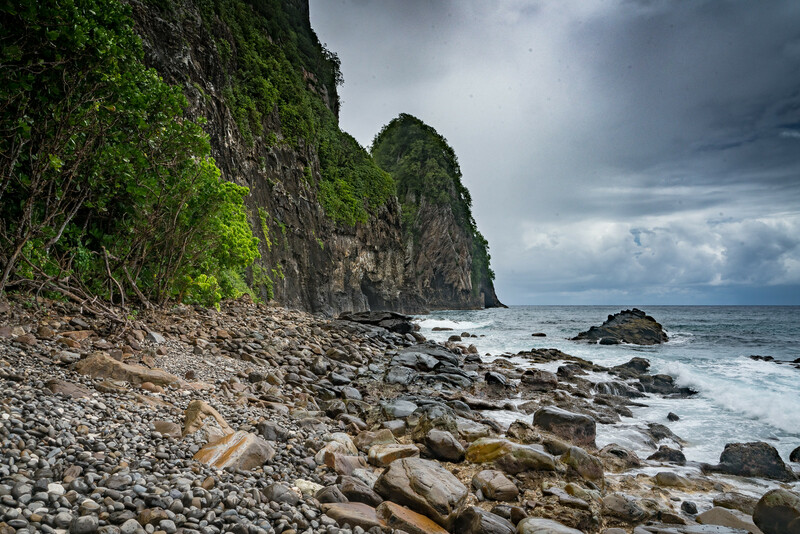 52 My other objective in the South Pacific was visiting American Samoa National Park. I had been to American Samoa back in 2007, but I never visited the park. Once you are in American Samoa, visiting the park is actually pretty easy, and it brought me one step closer to my goal of photographing all 59 parks in the US. 53 In November I had one of the most incredible travel experiences of my life: photographing polar bears in Churchill, Manitoba. 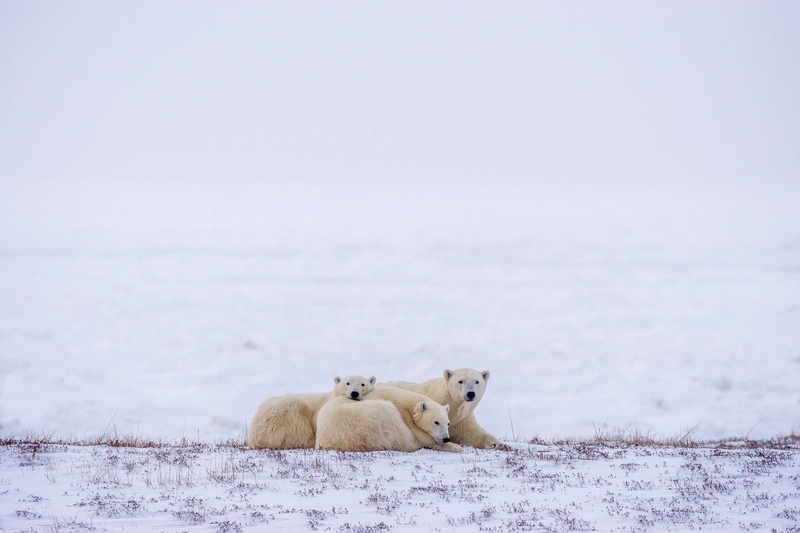 Churchill is famous for polar bears because it is where most of the bears in the western Hudson Bay region come to go out on the sea ice to hunt. Normally solitary creatures, while they are waiting for the sea ice to form, they will congregate. One day we saw 47 polar bears with 9 in one spot! 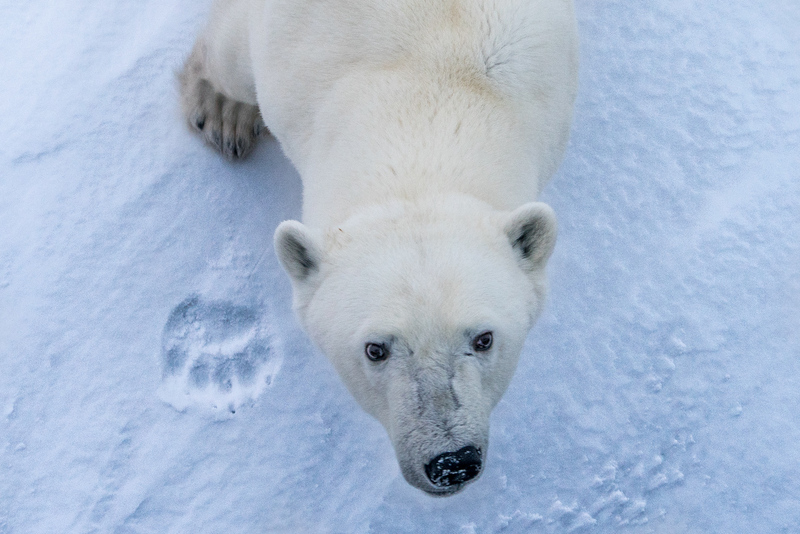 54 Polar bears are extremely curious and they would often walk up to our tundra buggy to check out what was going on. As a result, we were often able to get close-ups of the bears which would otherwise have been impossible to do safely. 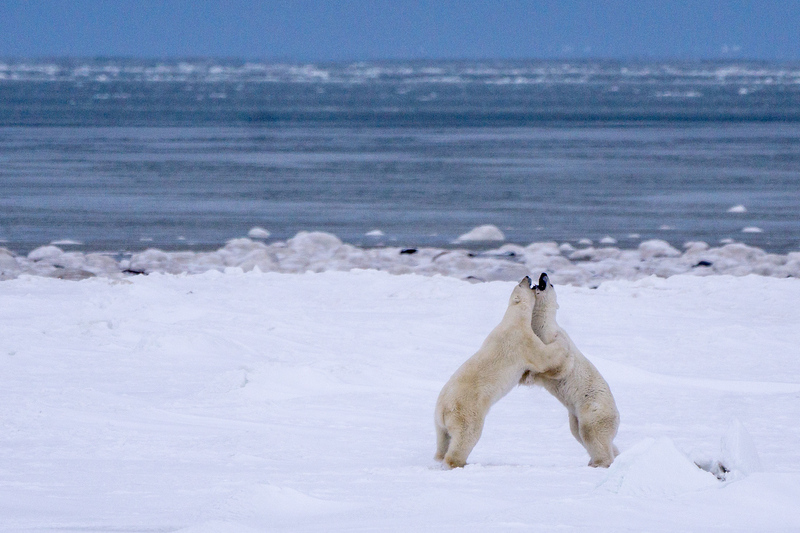 55 While the bears wait for the sea ice to come in, they could be observed engaging in all sorts of behaviors. The young males would often spar with each other to practice fighting. These sparring sessions would seldom result in actual damage as there are no females or food for them to fight over yet. 56 There is more than just polar bears in the sub-arctic. We saw other animals as well. 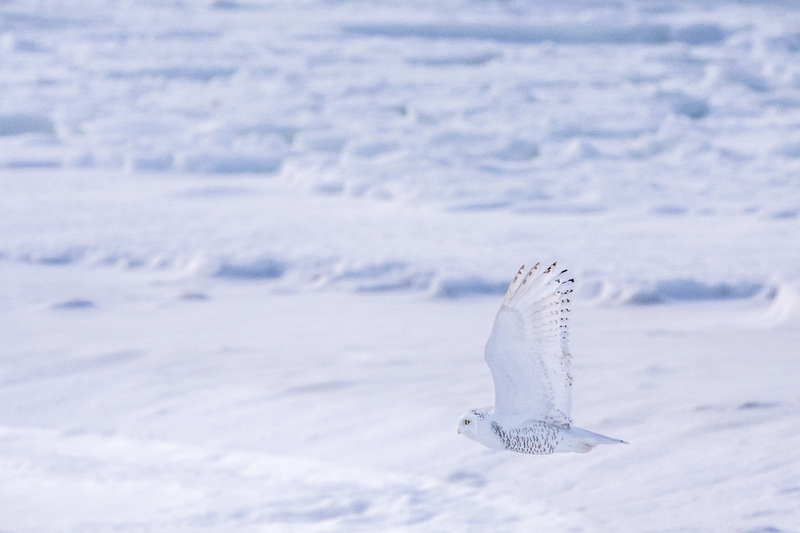 We watched this snowy owl for over an hour flying between perches, looking for mice. It actually caught and ate one while we were observing it. 57 I took the opportunity to take an hour-long helicopter flight to get a different perspective from what we saw on the ground. 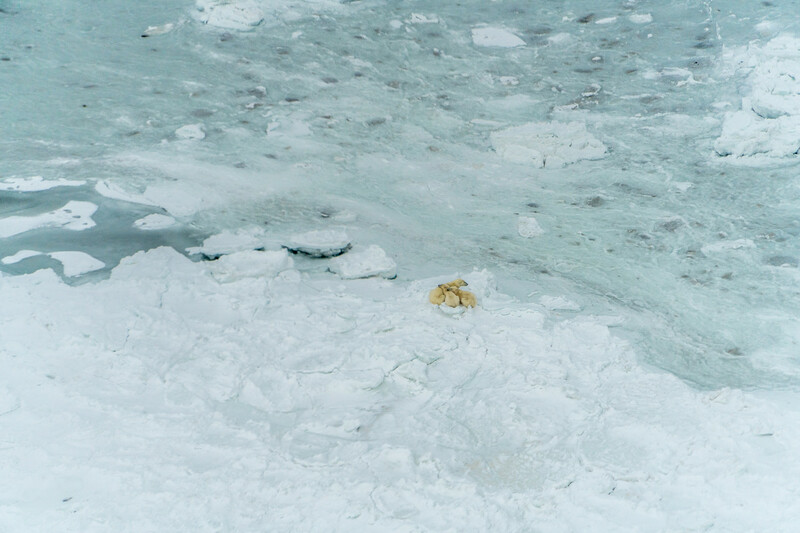 From the air, you could really see the bears just waiting for the sea ice to form so they could go out and hunt seals. 58 We had less than 8 hours of daylight every day. 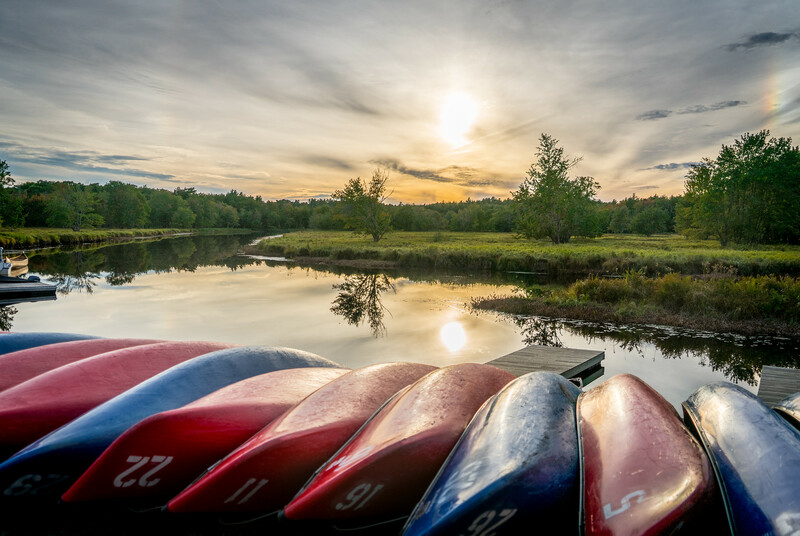 The overcast skies made from some really interesting sunrises and sunsets. 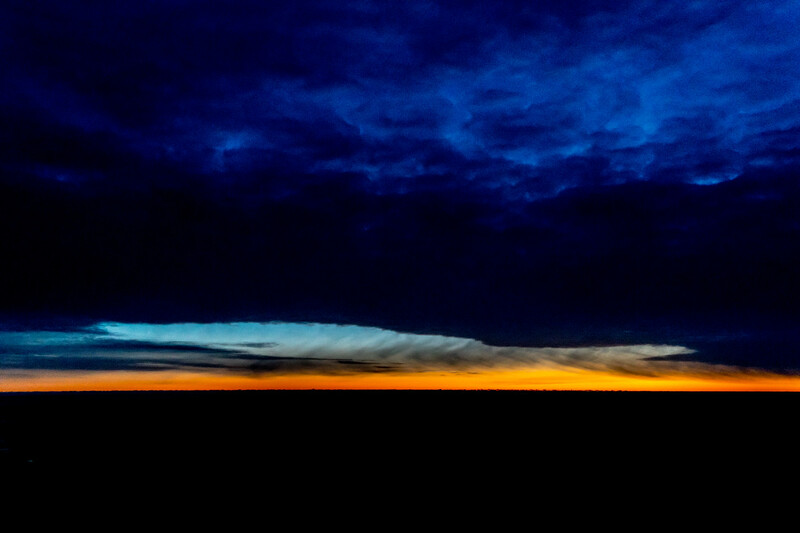 This is a more abstract sunrise we saw as we headed out one day to Cape Churchill. 59 My last trip of the year was in mid-December. I took a quick trip to Nevada to visit Great Basin National Park and a few other National Park Service sites in Nevada. 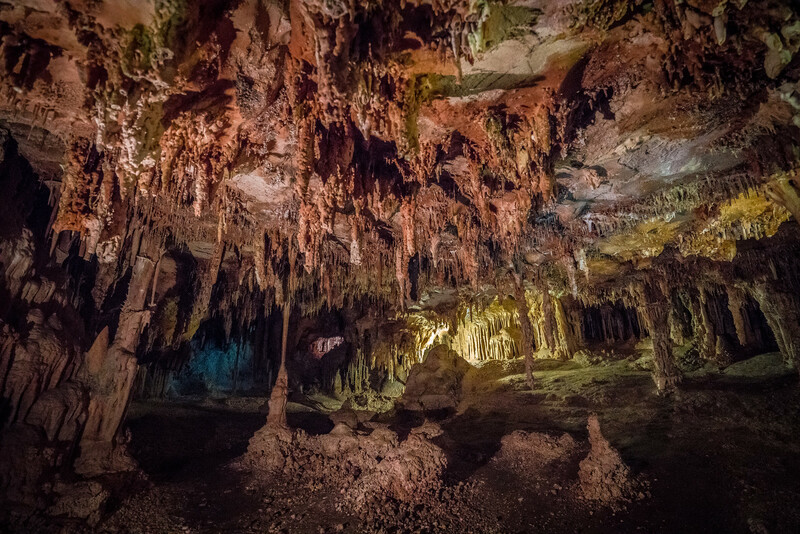 This photo was taken inside Lehman Cave in Great Basin National Park. My favorite is your favorite as well, the cave picture with all the colors, my second favorite is the curious polar bear, but only because i know how hard it is to get a great picture of a moving animal. I tried many times to download you 100 photo book after looking at these photos. All I get is a thank you for registering and a verification via captcha that I’m human. No book downloads. Gary, thanks for the photo tour. In Tajikistan, it’s Lake Iskanderkul, not Iskanderskul. I lived there for five years (not at the lake, of course!). Thank you for this wonderful world trip! Beautiful pictures well narrated, made me feel almost like I was along for the trip. Gary, your photo essay is so smooth and as natural as always. Thank you for sharing once again. Hope to see more of your travel photo essays in the future. Thank you for the incredible photos that took me to places I’ll never see and some that I would love to see again. Thank you so much for sharing your travel photos and experience. You are a truly remarkable person and I appreciate what you are doing with your life. I could never go to all those places except through your photos and stories. God bless and all the best. Gary …. I wondered where you ended up after meeting you up the West Coast of Africa. Glad to see you are alive and doing what you love and are very good at . Good to know you are back. Just Amazing work and summary Garry. Really stunning. I love how you capture that one perfect shot to represent the heat of the story of each location. I would love to learn about, and see more of, your travels in Ethiopia. Which was to say, we must protect Moscow! Great find, Gary. Garry I am so excited to hear from you and look at all your fantastic photos. What a journey you had. Hope to meet you someday. God bless. I want to visit all of these places now! Thanks for sharing. Incredible photos. Thank you and for the accompanying descriptions! Really excellent work. Your commentary and excellent images made me realize why I haven’t been able to put my camera down for over 40 years. Totally inspiring, have a great 2017. Absolutely beautiful images. Love the street side haircuts in Delhi, they really are everywhere huh? I love your photos Garry. All are awesome. Happy new year.